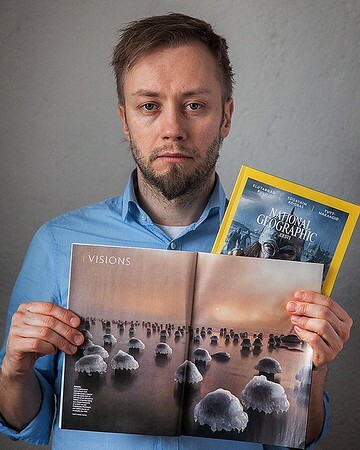 My name is Andrei Reinol, landscape photographer based in Estonia. I love being in nature, especially the peace I experience there and how I feel fully charged coming home after hours of hiking. I try to remain unnoticed in nature, even if it is not entirely possible, but I does strike me over and over again how small we humans really are. Although I keep the rule “take nothing and leave nothing” in mind when being in nature, I feel that photography allows me to take something with me without really taking anything away. Before I just had my camera with me when I was hiking, but in recent years photography is more of a conscious decision, I carry more gear with me. I do get caught up in the moment trying to capture the scene when an interesting sky or light appears. To me it is also satisfying to know that I can bring these moments to people who for whatever reason can not go into distant places in the early hours and crazy temperatures, but who can still enjoy it through these images. Body: Canon 5DMIV, Sony @7R. Lenses: Canon 16-35 F2,8 II, Canon 24-105usm f4, Canon 50 f1,8, Zeiss 24-70 f4. Lee; FormattHighTech filters, Manfrotto tripods.